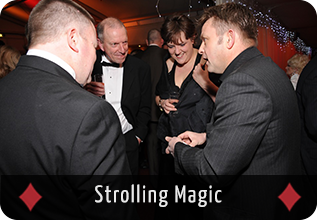 Mark's performances will help your guests feel at ease as close up magic is wonderful fun for any age. 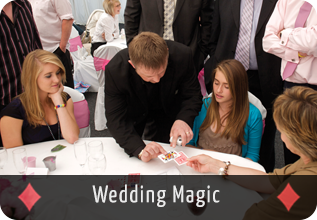 Mark's magic will leave your guests with a smile on their faces, amazed and thinking for days. There is no other entertainment like it. 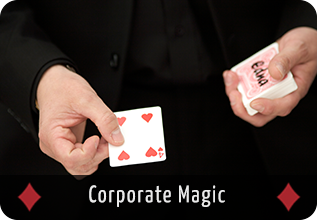 Your guests can experience amazing magic right before their eyes that they previously thought was only possible on TV. 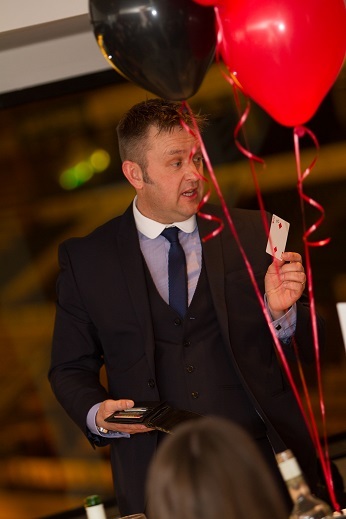 Imagine handing Mark a £10 note and seeing it vanish in front of your eyes only to reappear in an envelope held at all times by one of your guests! (apart from one time it went astray and reappeared up her sleeve). 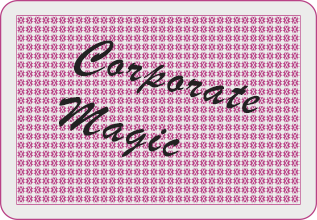 Imagine only thinking of a playing card only to find it has vanished from the pack and is in your pocket! These are just a couple of the effects Mark may Perform. 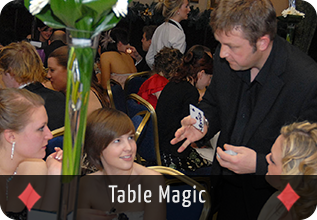 Magic can enhance any event and really bring out the excitement in your guests giving them an evening to remember forever. 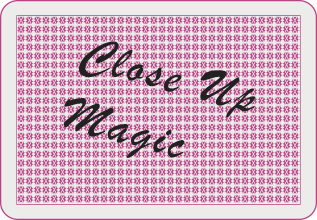 Mark is constantly working on his effects and polishing his close up act to ensure maximum audience satisfaction. 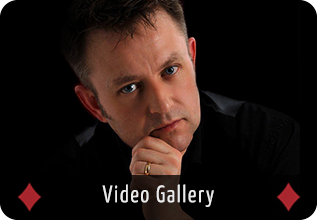 Mark has over 20 years’ experience in performing, gaining experience from all types of audiences and venues. 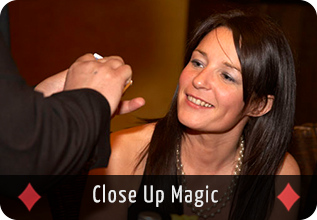 Mark's close up magic is totally amazing and suitable for all ages young and old and all types of occasions. 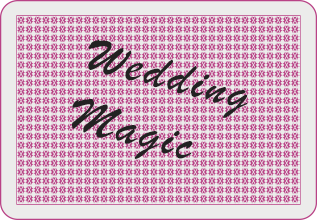 Contact Mark To discuss your event. 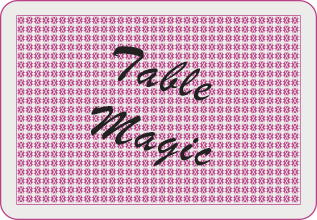 Mark would like to dedicate this site to his long time friend and great magician Chris Phillips who sadly passed away on 29th May 2013.